In this article I am sharing the small PHP snippet how you will exclude or remove some widgets from existing lists. As an example I am removing the Calendar, RSS and Tag Cloud WordPress widgets. I am sharing the three possibilities. You will use them as per your requirements. You will add the following PHP snippets at your theme’s functions.php file or plugin’s file. 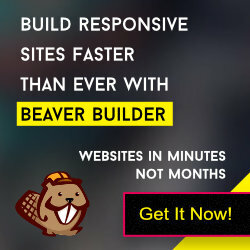 Latest Beaver Builder plugin have an new filter fl_get_wp_widgets_exclude. You will return the widget class name as an array variable with this filter. Above example I am sending three class names: WP_Widget_Calendar, WP_Widget_RSS and WP_Widget_Tag_Cloud.